Bootlegging is an informal term for the smuggling, sale, or transport of illicit goods. The term originally referred to the illegal transport and sale of alcohol. During Prohibition in the United States, many bootleggers brought alcohol from Canada and The Bahamas to the United States. In modern usage, "bootleg" is often used to describe an unauthorized audio or video recording, often of a concert, distributed without the artist's consent. Such illicit activities form a black market, and as such operate outside the accepted norms of lawful society. Nonetheless, as the commodities involved are in demand by a large sector of society, there is debate over whether they should be legalized (as was alcohol at the end of the Prohibition era). Various artists have openly allowed audiences to record their concerts and distribute the results; others have opposed such activities, but have found ways to provide authorized alternatives. The elimination of this type of bootlegging requires an agreement on the part of the both consumers and artists, as well as an overall change in the responsiveness of people to the legalities and ethics of trade. The term "bootlegging" first came into use during Prohibition in the United States, and referred to the black market illegal transport and sale of alcohol. Those wishing to illegally transport alcohol would sometimes hide flasks of liquor in the shanks of a boot. Though the term can now be used to refer to the sale or transport of any illicit goods, it almost exclusively refers to the sale or trade of unauthorized music performances, including video or audio copies of concerts, studio outtakes, or songs never intended for release. 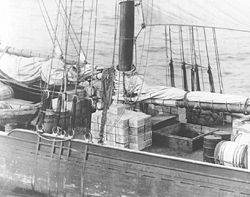 While the smuggling of alcohol and other contraband was common as early as the 1500s, when British revenue cutters were put in place to stop smugglers trying to evade the tax on alcohol, the term "bootlegging" most likely originated at the start of the 1920s with prohibition in the United States, when the Volstead Act and Eighteenth Amendment were passed, making it illegal to sell, own, or consume alcohol. In order to circumvent U.S. authorities, ships carrying Caribbean rum would drop anchor slightly over three miles from the U.S. coast, where the Coast Guard and other authorities had no jurisdiction. This three mile limit was known as the "rum line." In 1921, Captain William S. McCoy is credited with the founding of such "rum rows," where alcohol laden ships would wait for smaller, "contact boats" to dart out under cover of night and bring the alcohol to shore. These smaller boats were more able to outmaneuver and outrun the Coast Guard, and could easily dock in any small river or cove and transfer their cargo to a waiting truck. In 1924, legislation was passed to extend the jurisdiction of U.S. authorities to twelve miles from shore, making it harder for the smaller and less seaworthy craft to make the trip, and easier for the Coast Guard to catch those that did, but little seemed to be able to stop the flow of illegal alcohol. Rum's cheapness made it a low-profit item for the rum-runners, who soon moved on to smuggling Canadian whiskey, French champagne and English gin to major cities like New York and Boston, where prices ran high. It was said that some ships carried $200,000 in contraband in a single run—at a time when $50 a week was considered a good wage for an honest worker. As profits grew, so did the criminal activity associated with rum-running, which, by the mid-twenties, was inextricably entwined with organized crime. The principle rum row was located off the New York/New Jersey coast, but there were other significant groups of ships outside New England, Virginia, and in Rhode Island's Narragansett Bay. Captain William S. McCoy, the alleged founder of Rum Row, was a boat builder and excursion boat captain in the Daytona Beach, Florida, area from 1900 to 1920. He was also reputed to be a non-drinker. With the start of Prohibition, business was slow, and he saw the opportunity for profit by illegally bringing rum from Bimini and The Bahamas to the United States. With his brother, he purchased the Henry Marshall, a 90-foot fishing schooner, and brought his first load of over 1,500 cases of liquor to the waters off New York, where he anchored just outside of the U.S. territorial waters and let smaller boats and other captains take the risk of bringing it into shore. At the time, it was the largest illegal cargo of alcohol brought to New York, and the notorious Rum Row was born. With the profits of this first illegal venture, McCoy bought another fishing schooner named the Arethusa, and modified her to accommodate as much illegal contraband as possible, as well as mounting a concealed machine gun on her deck. 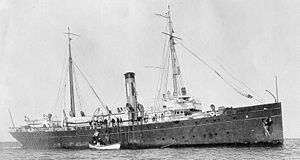 In order to confuse the Coast Guard, who kept a close watch on his activities, he renamed the ship the Tomoka, and placed her under British registry. Additionally, he also named her the Marie Celeste, and registered her with the French. With the Arethusa, McCoy made many trips between the Bahamas and the U.S., and claimed to have smuggled over 170,000 cases of liquor during his career. The Arethusa/Tomoka was finally captured by the Coast Guard revenue cutter the Seneca in 1923, just inside U.S. territorial waters. An armed boarding party first boarded the Tomoka, but was soon chased off the vessel with a machine gun. After a chase, the Seneca fired three warning shots and a fourth shot only a few feet from the Tomoka, at which point the rum-runners surrendered and were brought to Staten Island. In the days of rum running, it was common for captains to add water to the bottles or re-label them as better brands to stretch their profits. Cheap sparkling wine became French champagne or Italian Spumante, and unbranded liquor became top-of-the-line name brands. McCoy was famous for never watering down or re-labeling his illegal merchandise, a practice that is reputed to be the origin of the term "The Real McCoy." Rum running was big business during the 1920s. The New York/New Jersey rum row, though the largest and most well known with as many as 60 ships seen at a time, was by far not the only hub of smuggling activity. Rum-runners often made the trip through Canada via the Great Lakes and the Saint Lawrence Seaway, and down the west coast to San Francisco and Los Angeles. The French islands of Saint-Pierre and Miquelon, located south of Newfoundland, were an important base used by well-known smugglers including Al Capone. The Gulf of Mexico also teemed with ships running from Mexico and The Bahamas to the Louisiana swamps and Alabama coast. With so much competition, the ships in rum rows often flew large banners advertising their wares and threw parties on board to draw customers. Shore boats picking up alcohol would also deliver fresh supplies, and the bigger ships would feature "happy hours" and concerts by paid musicians from shore. Girls would come out to drink and dance, as would sightseers. Prostitutes also found their way to Rum Row, where they would get twice their shore price for their services. Rum Row was completely lawless, and many crews armed themselves not against government ships but against the other rum-runners, who would sometimes sink a ship and hijack its cargo rather than make the run to Canada or the Caribbean for fresh supplies. On the government's side were an assortment of patrol boats, inshore patrol and harbor cutters. 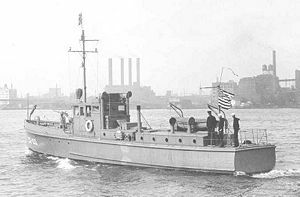 Most of the patrol boats were of the "six-bit" variety: 75-foot craft with a top speed of about 12 knots. There were also an assortment of launches, harbor tugs, and miscellaneous small craft. At the start, the rum-runner fleet consisted of a ragtag flotilla of fishing boats, excursion boats, and small merchant craft. But as prohibition wore on, organized crime became involved, profits soared, and as the stakes got higher, the ships became more specialized. Large merchant ships like McCoy's Tomoka waited on Rum Row, but specialized high-speed craft were built for the ship-to-shore runs. These high-speed boats were often luxury yachts and speedboats fitted with powerful aircraft engines, machine guns, and armor plating. Rum-runners often kept cans of used engine oil handy to pour on hot exhaust manifolds, in case a smoke screen was needed to escape the revenue ships. The rum-runners' boats were faster and more maneuverable. A rum-running captain could make several hundred thousand dollars a year, compared to the $6,000 per year of a Coast Guard commandant and the mere $30 per week salary for a Coast Guard seaman. These huge monetary rewards often created a willingness of the rum-runners to take big risks. They often ran without lights at night and in fog, risking life and limb. Often the shores were littered with bottles from a rum-runner who hit a sandbar or a reef in the dark at high speed and sank. The Coast Guard relied on hard work, excellent reconnaissance and big guns to catch the rum-runners. Frustratingly enough for the Coast Guard, even when they captured a ship it was not uncommon for it to be sold at auction shortly after a trial; often right back to the original owners. Some ships were captured three or four times before they were finally sunk or retired. In addition, the Coast Guard still had other duties, and often had to let a rum-runner go in order to assist a sinking vessel or other such emergency. On December 5, 1933, the 21st Amendment ended Prohibition, and with it the rum-running business. Most of the rum ships were sold or scrapped, and their crews either went into the merchant marine or the U.S. Navy. Surprisingly, the Navy welcomed the ex-rum-runners as skilled and experienced seamen (some with battle experience), often giving them non-commissioned officer ranks. The Coast Guard emerged from Prohibition a new service, larger and more effective. Many of the skills they learned battling the rum-runners went to defend the U.S. coastline during wartime. A bootleg recording (or bootleg/boot) is an audio and/or video recording of a performance that was not officially released by the artist, or under other legal authority. Bootlegs can consist of recordings of live performances or material created in private or professional recording sessions, including demos, works in progress, or discarded material. Many such illegal recordings are copied and traded among fans of the artist without financial exchange, but some bootleggers are able to sell these rarities for profit, adding professional-quality sound engineering and packaging to the raw material. Changing technologies have had a great impact on the recording, distribution, and varying profitability of the underground industry. For instance, copying and distributing an illegal recording became much more profitable when compact discs replaced audio tapes as the principle music medium. Although bootlegging is distinct from copyright infringement ("piracy") and counterfeiting, as it involves material which has never been offered for commercial release, it is clearly illicit, operating through black market trade. The copyrights for songs and the right to authorize recordings reside with the artist, and the fine print on concert tickets (which generally prohibit recording) is subject to contract law. The recording, trading, and sale of bootlegs continue to thrive, however, even as artists and record companies attempt to provide "authorized" alternatives to satisfy the demand. Bootleg recordings can be made from copies of master recordings stolen from an artist's home, a recording studio, or a recording company, most bootlegs are created with sound recording equipment smuggled into a live concert. 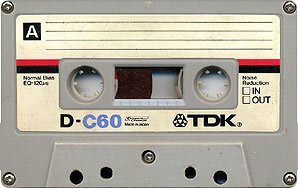 Many artists and most live venues prohibit this form of recording, but from the 1970s onwards the increased availability of portable technology has made such bootlegging increasingly easy, and as technology has improved, so has the quality of these illegal recordings. A number of bootlegs have also originated with FM radio broadcasts of live or previously-recorded live performances. Unauthorized recordings can be traced back to the early days of opera, jazz, and blues music. The first known bootlegs used a phonograph recorder to record performances at the New York Metropolitan Opera House between 1901 and 1903. The first recognized rock bootleg was a 1967 collection of previously unreleased Bob Dylan songs, called The Great White Wonder, with a plain white cover, sleeve, and labels. In 1969, a Beatles bootleg entitled Kum Back was released. Consisting of rough mixes of the album eventually titled Let It Be, the master recording tape was leaked to a Boston radio station, then re-recorded and distributed. Soon after, bootlegging became more and more widespread. Bootlegs were made of The Rolling Stones and Jimi Hendrix, among many others. Early live recordings typically contained a great deal of crowd noise, with screams and whistles from audience members close to the microphone sometimes drowning out the performance. Bootleggers gradually found ways to minimize this, often by choosing their position in the crowd carefully, by elevating the microphone above the crowd on an extensible pole, or by taping it to a light or speaker pole. Others found ways to connect recording equipment directly into the mixing console or soundboard, with or without the cooperation of the performer's sound crew, which resulted in a near studio-quality recording. Blank album covers and labels were commonplace in the early years of bootlegging; the album was often identified only by a photocopied page inside the shrink wrap listing the artist and songs, occasionally including a photograph or two. During the 1970s the bootleg industry in the United States expanded rapidly, coinciding with the era of stadium or arena rock. The large followings of bands such as Led Zeppelin, The Rolling Stones, and Pink Floyd created a lucrative market for the mass production of unofficial recordings, as it became evident that more and more fans were willing to purchase them. In addition, the huge crowds that turned up to these concerts made the effective policing of the audience for the presence of recording equipment virtually impossible. Vast numbers of recordings were issued for profit by bootleg labels. Many bootlegs were pressed in California, where a number of smaller record mastering and pressing plants were happy to get the work and unconcerned with the legality of what they were creating. Sometimes they simply hid the bootleg work when record company executives would come around (in which case the printed label could show the artist and song names) and other times they would print labels with fictitious names. For example, a 1972 Pink Floyd bootleg called Brain Damage was released under the name The Screaming Abdabs. The market outlets for bootlegs-for-sale were varied. In the early years, bootlegs could be bought from vendors lurking in the alleys and parking lots around live venues, as well as at swap meets, street markets, record collector shows, and smaller record stores. Mail order sources were advertised by word of mouth, and in many cases uniquely associated with individual bands. There were major markets in Japan and Europe for bootlegs from bands like Led Zeppelin, Pink Floyd, The Beatles, and The Rolling Stones, among others. The 1980s saw the increased use of audio cassettes and videotapes for the dissemination of bootleg recordings, as the affordability of private dubbing equipment made the production of multiple copies significantly easier. Cassettes were also smaller, easier to ship, and could be sold or traded more affordably than vinyl. Bootlegging began to veer more towards non-profit exchange, trade, and distribution. In the 1990s there was a widespread conversion of many of the older bootlegs onto the compact disc (CD) format. Unofficial recordings became more readily available than ever before, resulting in thousands of bootlegs being circulated on CD amongst avid collectors and fans, in many cases of shows which were recorded over thirty years previously. In particular, companies in Germany and Italy exploited the more relaxed copyright laws in those countries by pressing large numbers of CDs and including catalogs of other titles on the inlays, making it easier for fans to find and order. As the Internet expanded, bootleg websites and mailing lists began to appear, including public websites catering to collectors who exchanged tapes and CDs free of charge, and more surreptitious sites devoted to the sale of bootlegs for profit. The late 1990s and early 2000s saw an increase in the free trading of digital bootlegs, sharply decreasing the demand for and profitability of physical bootlegs. The rise of standard audio file formats such as MP3, combined with the ability to share files between computers via e-mail, and specialized file sharing networks such as Napster, made it simpler than ever for bootleg collectors to exchange rarities. Older analog recordings were converted to digital format for the first time, tracks from bootleg CDs were "ripped" to computer hard disks, and new material was created with digital recording of various types, all of which could be easily shared. A variety of legislation protects artists from having their work distributed on bootlegs. The Berne Convention for the Protection of Literary and Artistic Works has protected the copyrights on literary, scientific, and artistic works since 1886. The World Intellectual Property Organization (WIPO), founded as a specialized agency of the United Nations in 1967, was created for the international protection of intellectual property rights. According to the international WIPO Performances and Phonograms Treaty of 1996, all performers own the rights to their own performances, as well as the right to reproduce and sell such performances. The U.S. passed a Federal Anti-Bootleg Statute in 1994, criminalizing the unauthorized manufacture, distribution, or trafficking of "live" performances. Bootleg recordings produced outside the U.S. are also subject to seizure and forfeiture, and violations of the statute can result in fines up to $250,000 and imprisonment up to ten years. The tightening of laws and increased enforcement by police on behalf of the British Phonographic Industry (BPI), Recording Industry Association of America (RIAA), and other industry groups helped check the flow of for-profit bootlegs. Prosecution of bootleggers was often difficult, and many were arrested on peripheral issues such as tax evasion, or else threatened with prosecution and forced to turn over their stock, both of which gradually drove the distributors of for-profit vinyl and CD bootlegs further underground. Physical bootlegging largely shifted to less regulated countries such as Hong Kong, Russia, and Brazil, with the results distributed through existing underground channels, open market sites such as eBay, and other specialized websites. Most artists have made little effort to pursue legal action for bootleg recordings, viewing such "rarities trading" as harmless provided that it is not being done for profit. The benefits of interfering with such trading are fairly minimal compared to the potential ill-will generated against the artist, as the illicit works are generally circulated among the artist's most loyal fans, which have the most interest. Most record companies also have not shown an interest in pursuing or prosecuting small-scale bootleggers. Both artists and record companies have attempted to find ways to provide authorized alternatives to satisfy consumer demand for bootleg recordings, including the marketing of their own live albums and rarities collections. An increasing number of artists decided to allow and encourage live audience recording, although they and their fans generally consider the "selling" of such recordings—as opposed to keeping them for one's own personal enjoyment or trading them for other audience recordings—to be illegitimate bootlegging. Fans often cite the encouragement of these recordings as a key factor in their long-term loyalty to these bands. The Grateful Dead, the rock band led by Jerry Garcia, is well known for explicitly allowing their shows to be taped. In the early 2000s, various artists responded to the demand for bootleg concert recordings by experimenting with the sale of authorized bootlegs made directly from the unmixed soundboard feeds, or from on-the-fly multitrack mixes, creating high quality audio without ambient crowd noise. Many recordings first distributed as bootleg albums were later released officially by the copyright holder; for instance, the release of the 1996 Anthology series effectively killed the demand for many of The Beatles bootlegs previously available. ↑ Canney, Donald. Rum War: The U.S. Coast Guard & Prohibition. United States Coast Guard. Retrieved February 6, 2007. ↑ Rum Runners' Rendezvous. The City of Providence, Rhode Island. Retrieved February 6, 2007. ↑ Halifax Historical Museum Permanent Collections. Retrieved June 5, 2007. ↑ Seneca, 1908. The U.S. Coast Guard. Retrieved February 8, 2007. ↑ 2007. Rum Running Revisited. Flat Hammock Press. Retrieved February 8, 2007. ↑ History. Retrieved February 8, 2007. ↑ 7.0 7.1 The Pink Floyd Vinyl Bootleg Guide: A Brief History of Bootlegs. Backtrax Records. Retrieved February 9, 2007. ↑ 8.0 8.1 Galloway, Simon. Bootlegs. Moremusic e-zine. Retrieved February 9, 2007. ↑ WIPO Performances and Phonograms Treaty (WPPT). World Intellectual Property Organization. Retrieved February 9, 2007. ↑ Overview of the Federal Anti-Bootleg Statute. GrayZone, Inc. Retrieved February 9, 2007. ↑ TheMusic.com Encore Series. Retrieved February 9, 2007. Allen, Everett S. 1979. The Black Ships: Rumrunners of Prohibition. Little, Brown. ISBN 0316032581. Carse, Robert. Rum Row. Rinehart. Miller, Don. 1979. I was a Rum Runner. Lescarbot Printing Ltd.
Willoughby, Malcolm F. 2001. Rum War at Sea. Fredonia Books. ISBN 1589631056. This page was last modified on 19 December 2016, at 16:32.